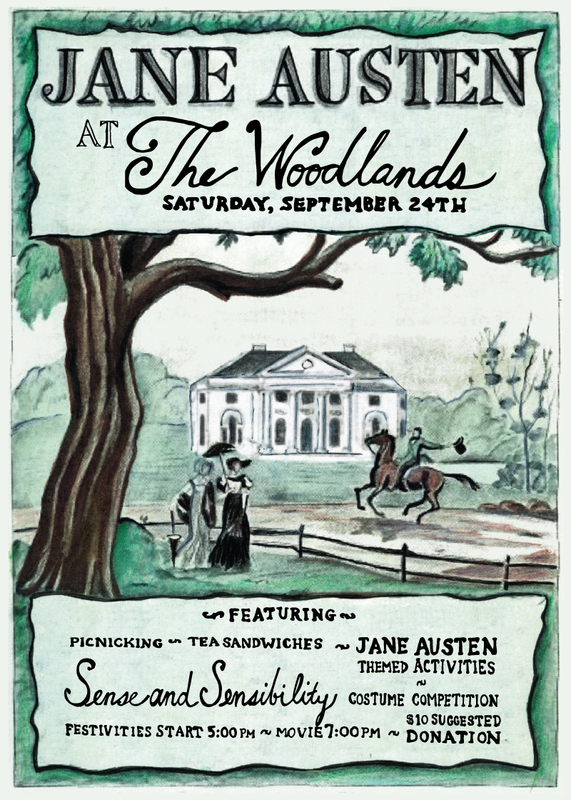 Join us for a night of Jane-Austen themed fun at The Woodlands—Philadelphia’s Own English Country Estate! We're hosting an evening of picnicking, with tea sandwiches from Pb&Jams PHL, new baked goods from Lil' Pop Shop, and croquet, along with other 18th century pastimes. The evening will culminate in a showing of Sense & Sensibility on the big screen in front of the Hamilton Mansion. Jane Austen character inspired costumes are encouraged! Free for members of The Woodlands. RAIN DATE: Sunday, September 25th.